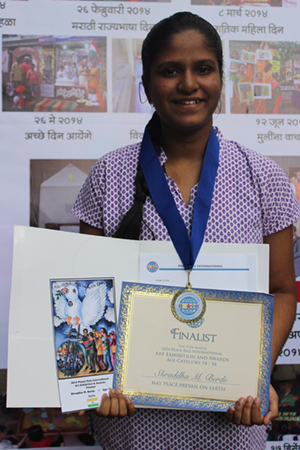 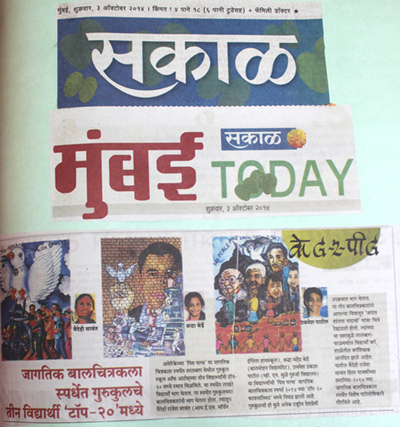 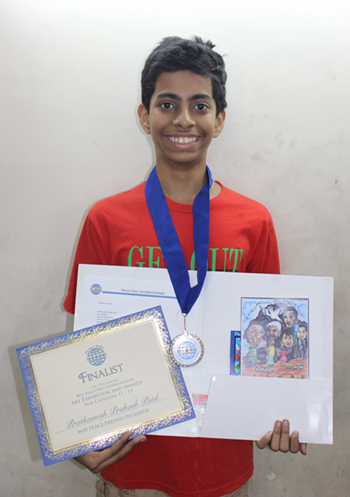 Congratulations to the students of Sagar Kambli of the Gurukul School of Art in Mumbai, India – We were so fortunate to have three Finalist in the 2014 – 17th Annual Peace Pals International Art Exhibition and Awards. 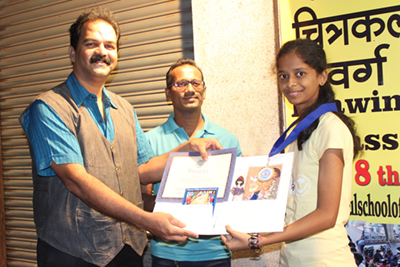 Mr. Kambli sent us photos of the winners, as well as a news clipping and a special Happy New Year photo from all the students. 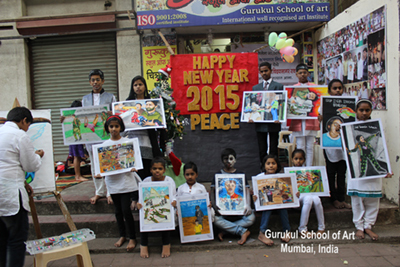 Happy New Year 2015 from the Students at Gurukul School of Art in Mumbai, India.